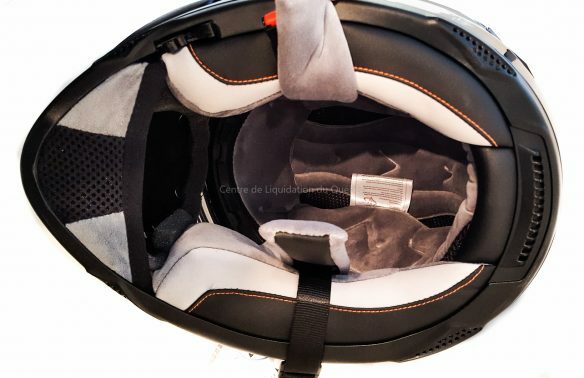 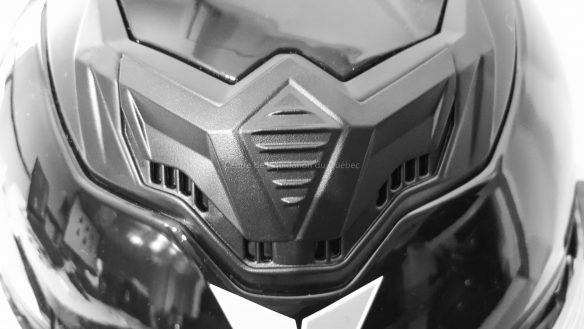 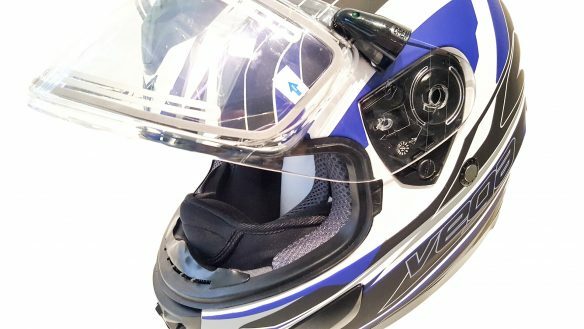 Casque de motoneige et VTT Vega Insight avec une vitre électrique, un fil électrique, un masque cache-nez anti-froid. 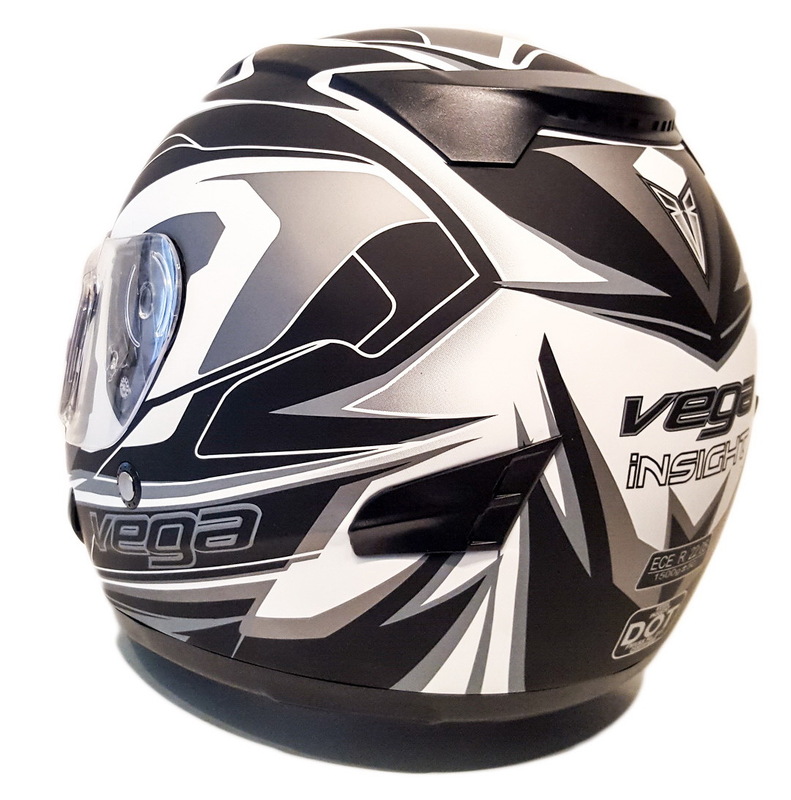 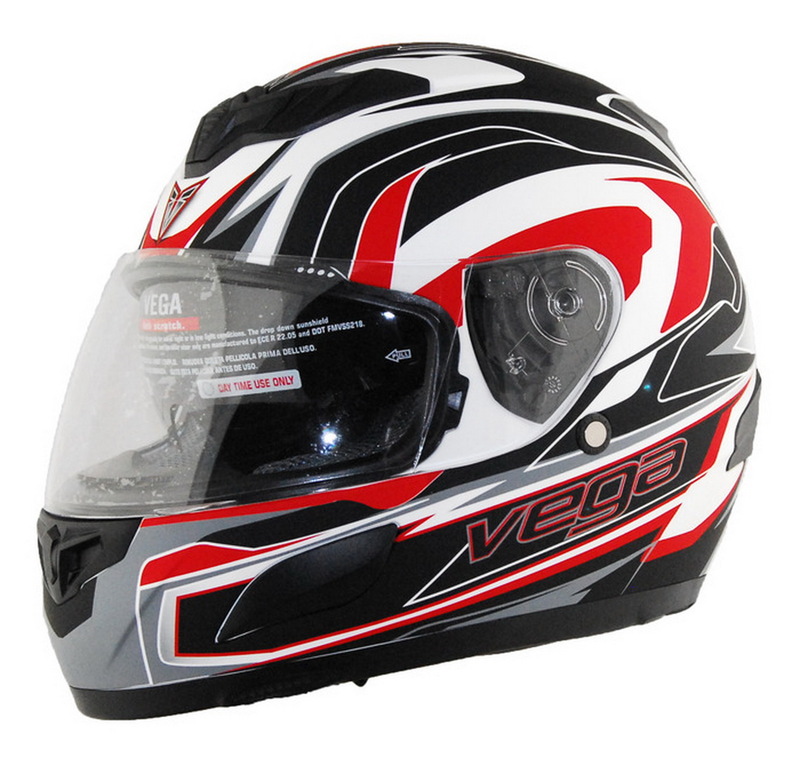 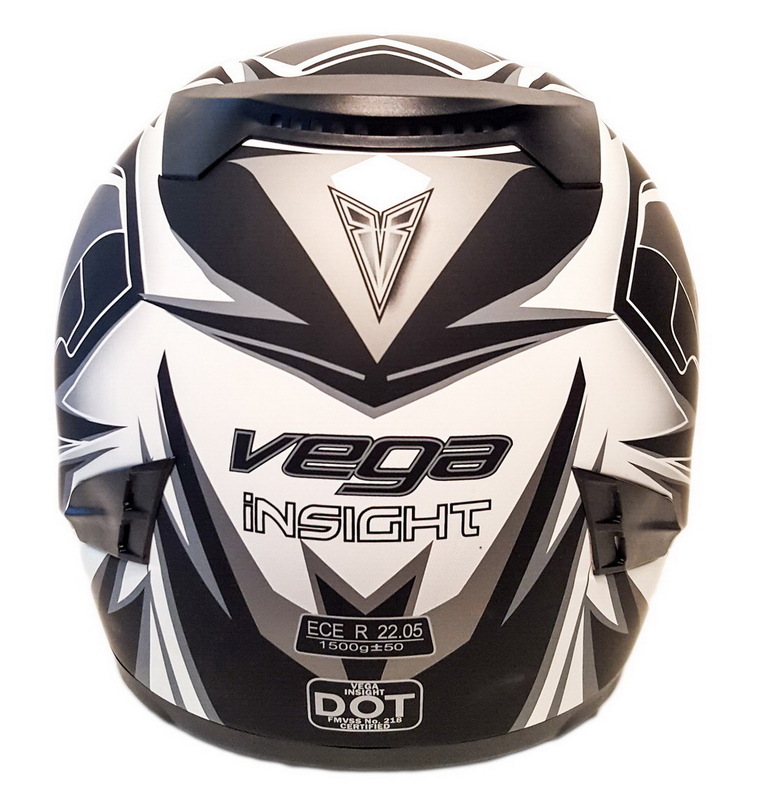 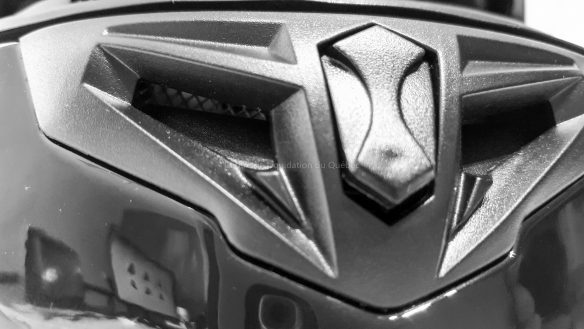 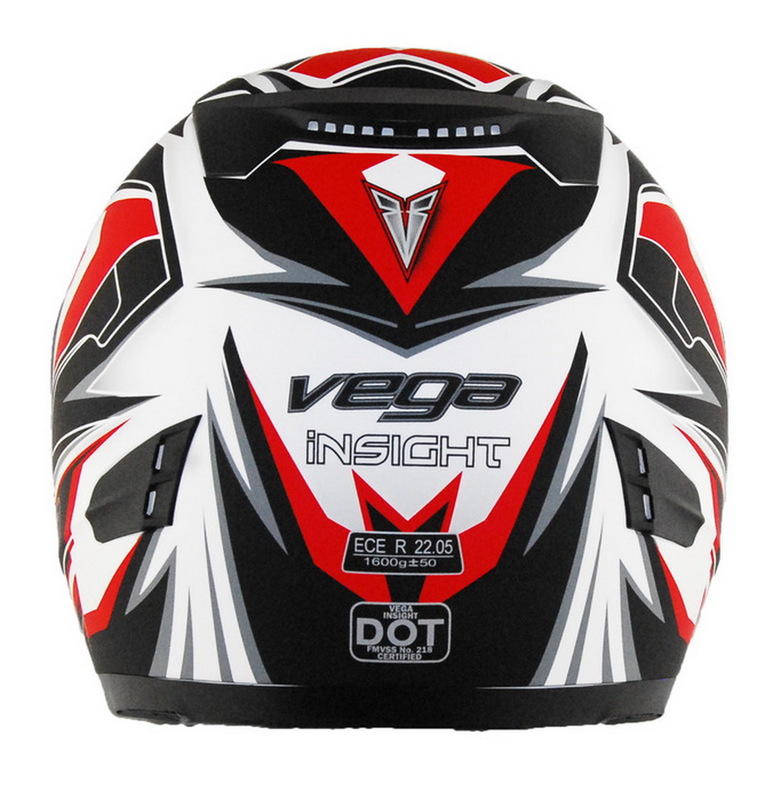 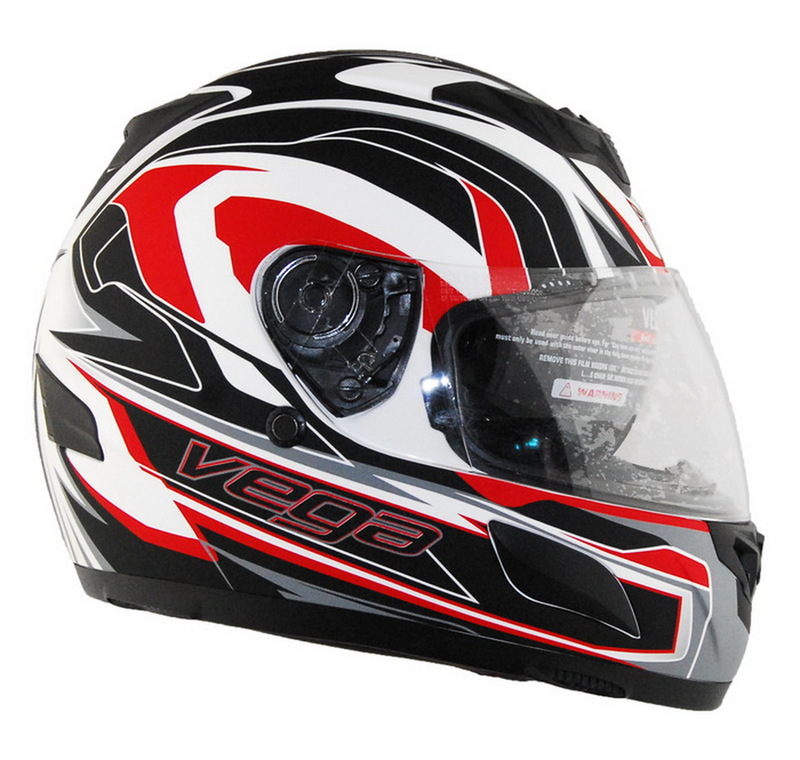 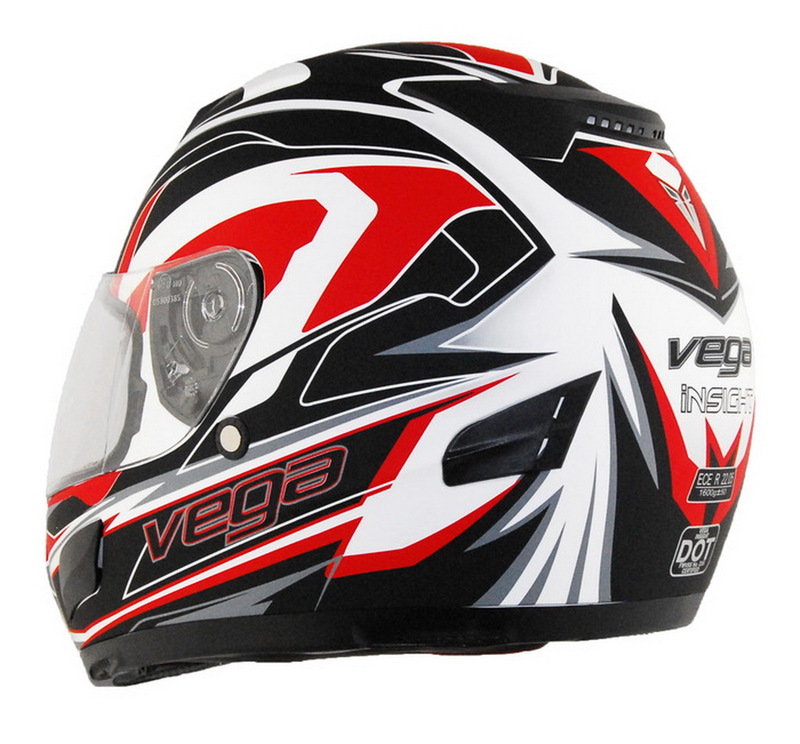 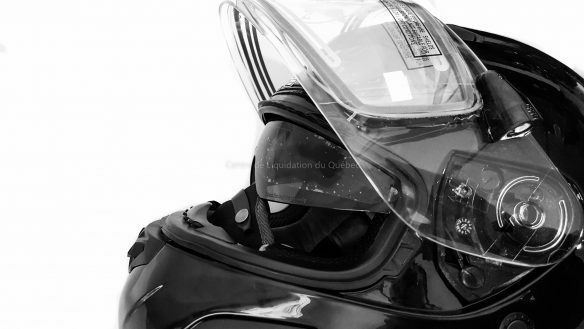 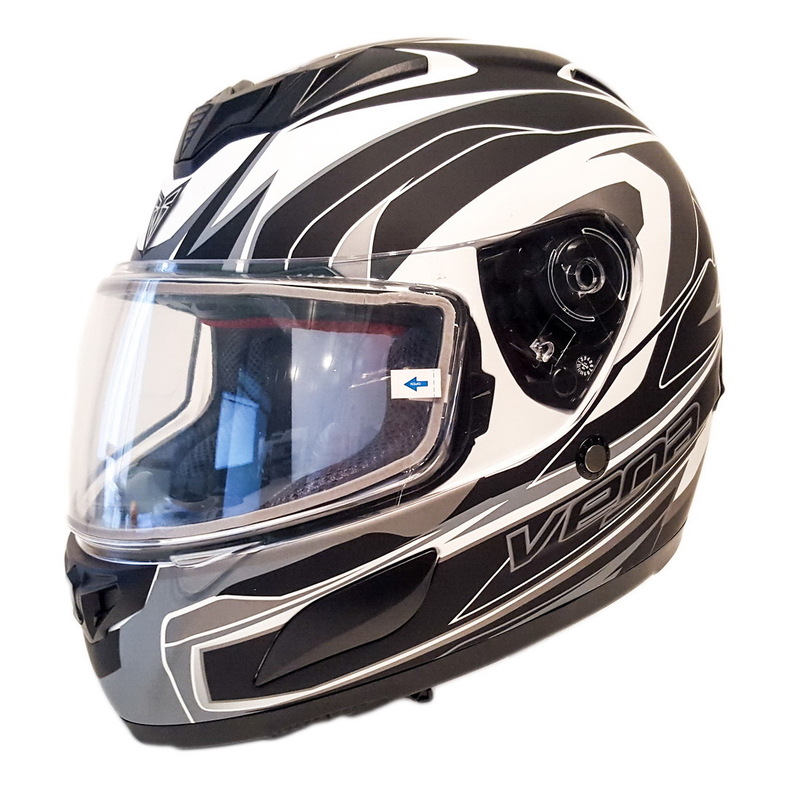 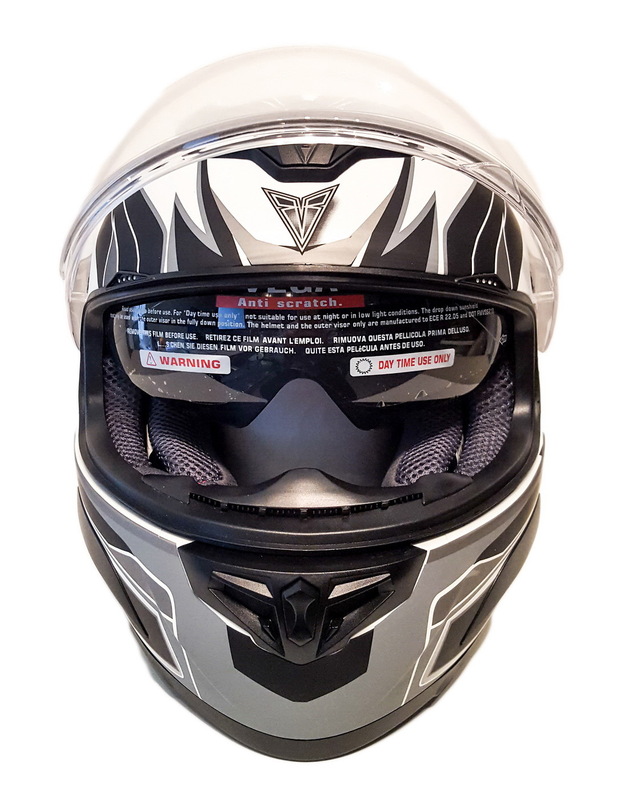 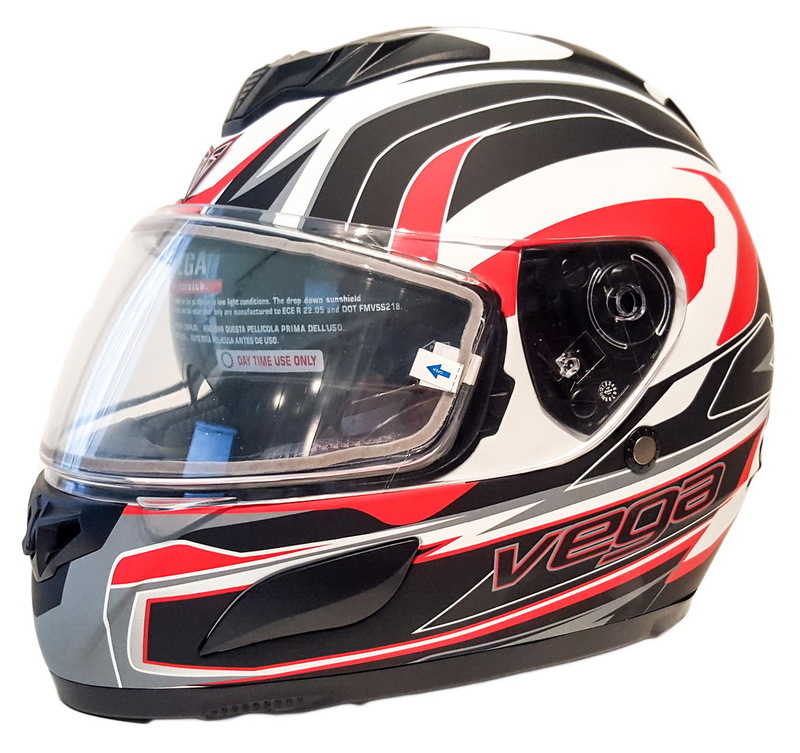 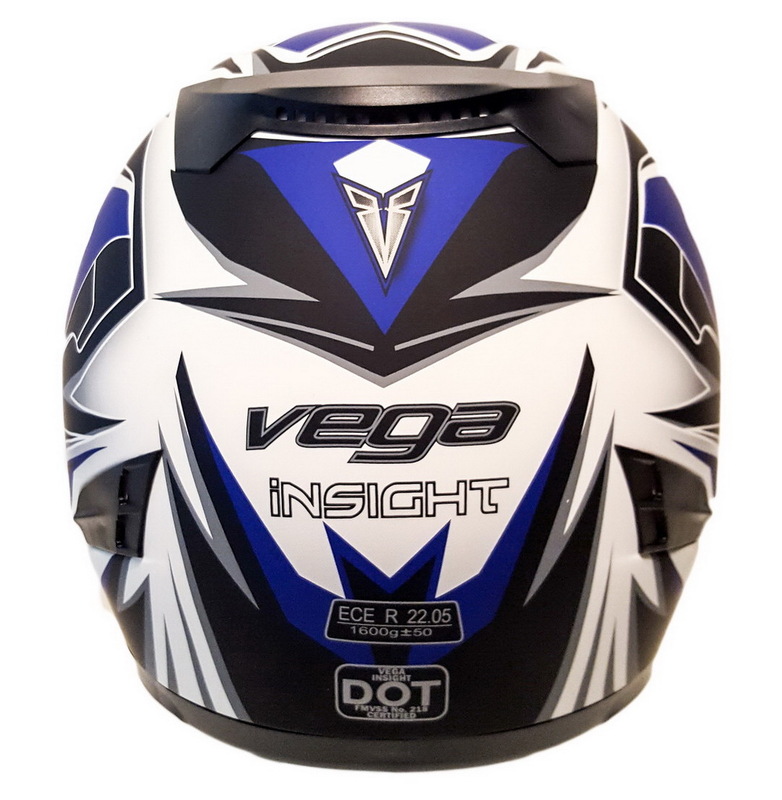 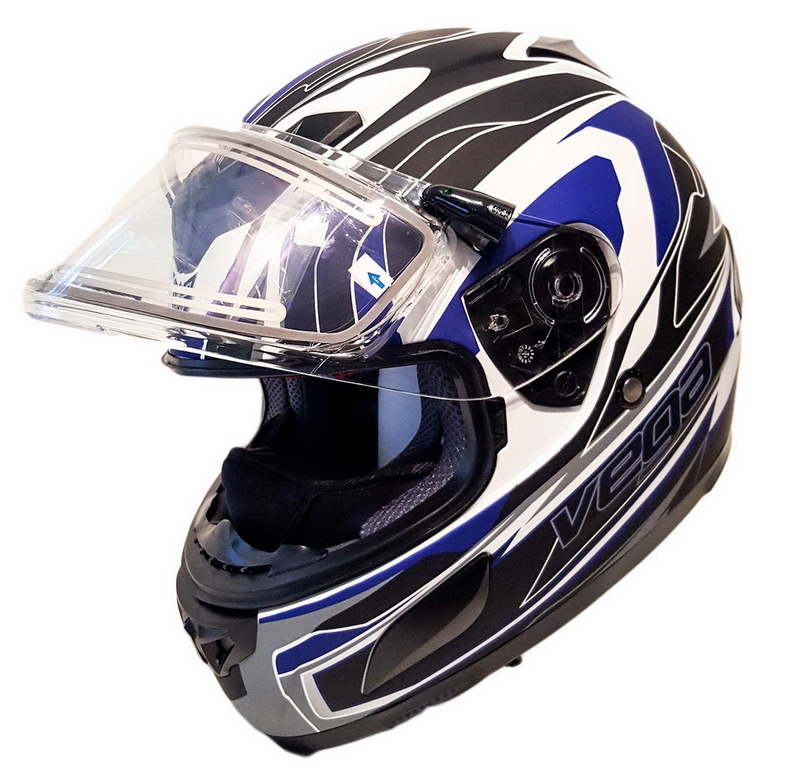 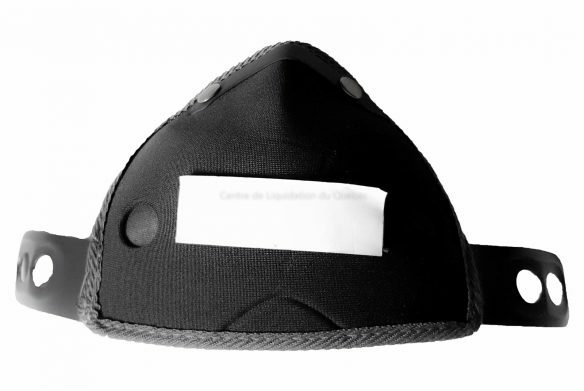 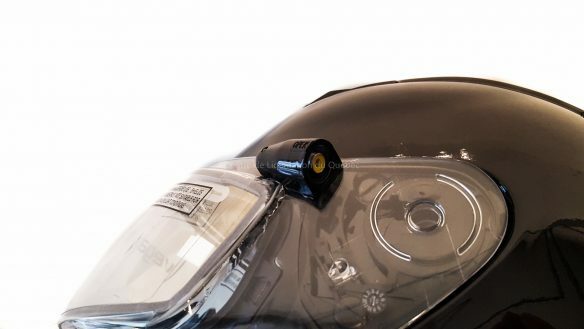 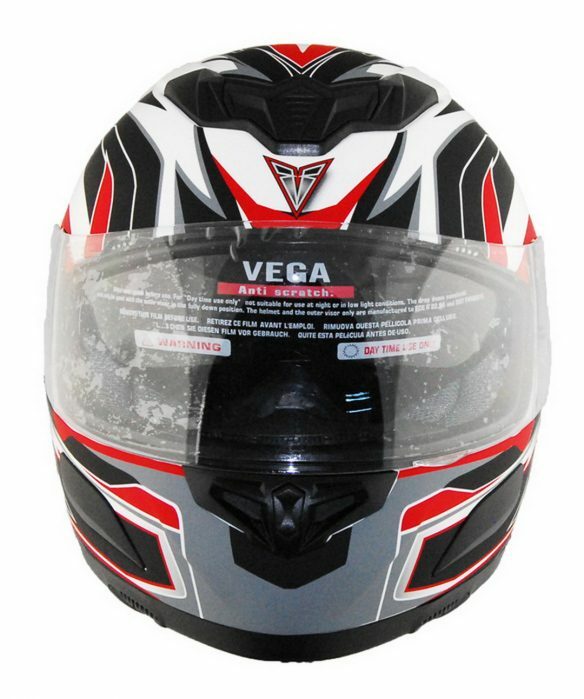 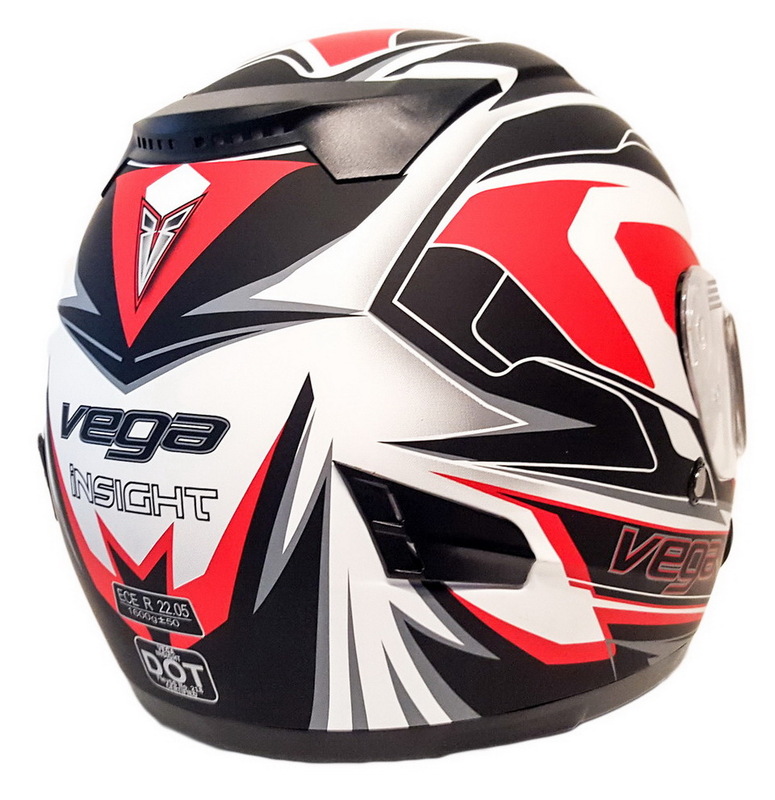 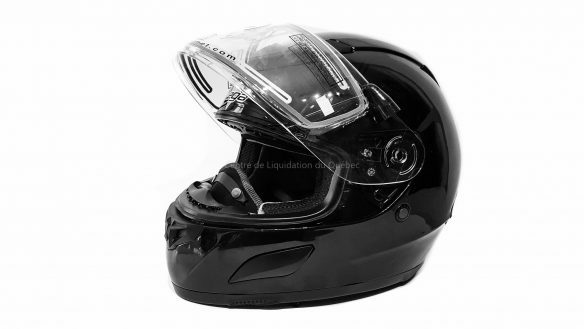 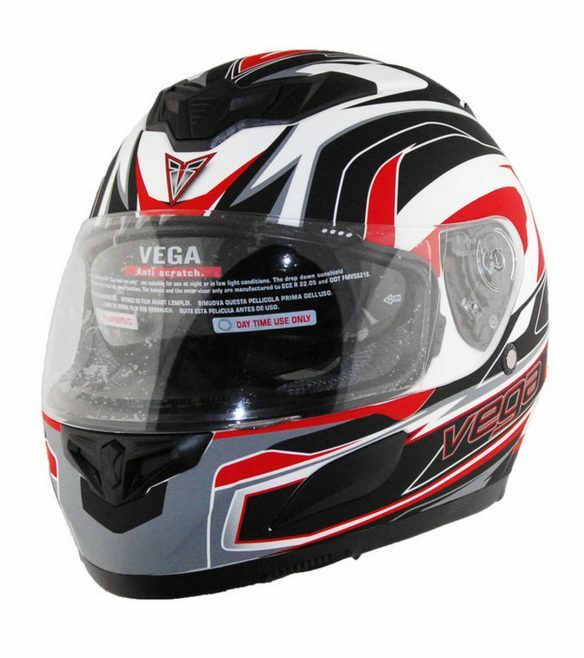 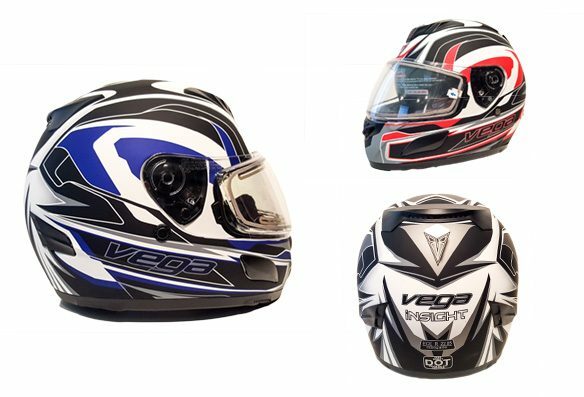 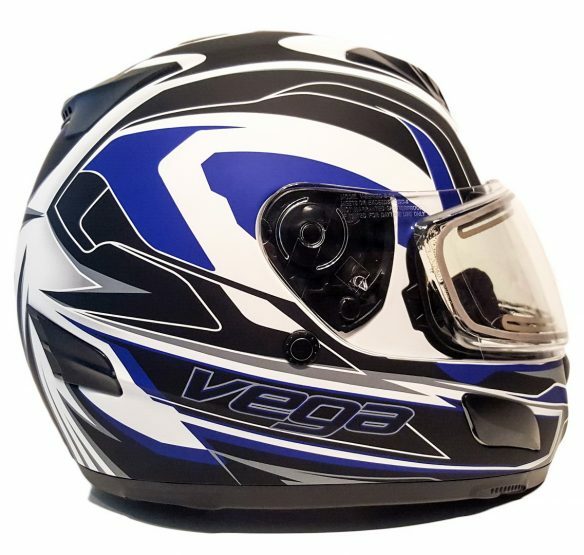 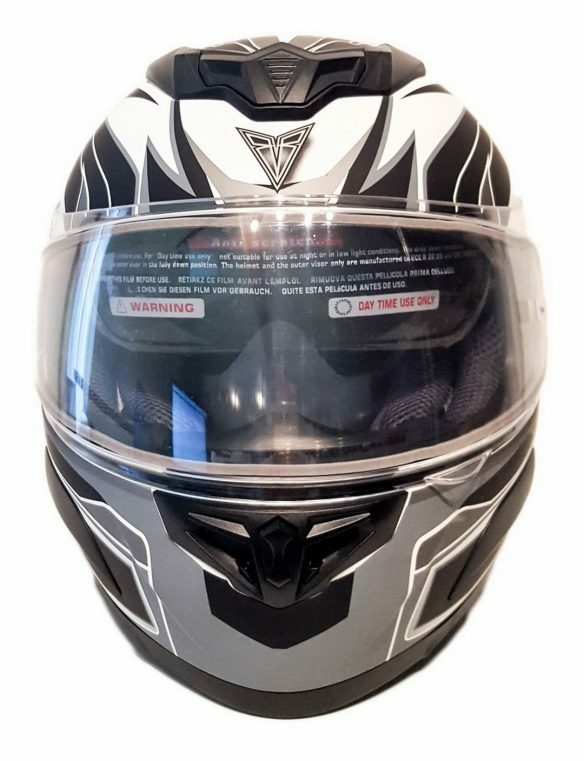 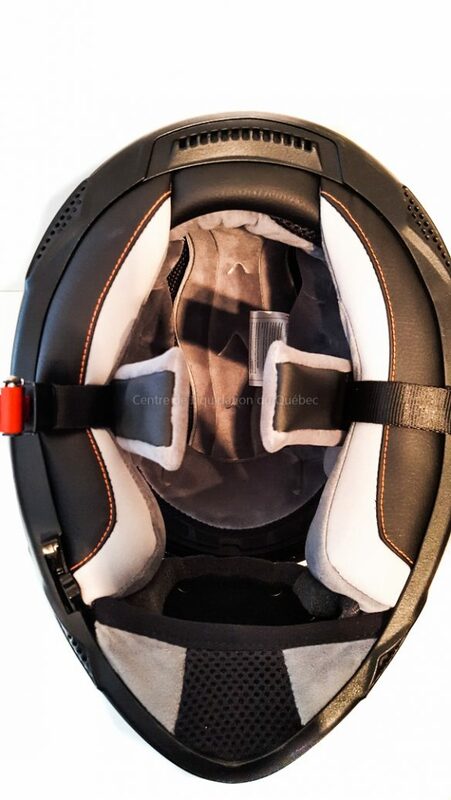 Motorcycle and ATV helmet – Vega Insight. 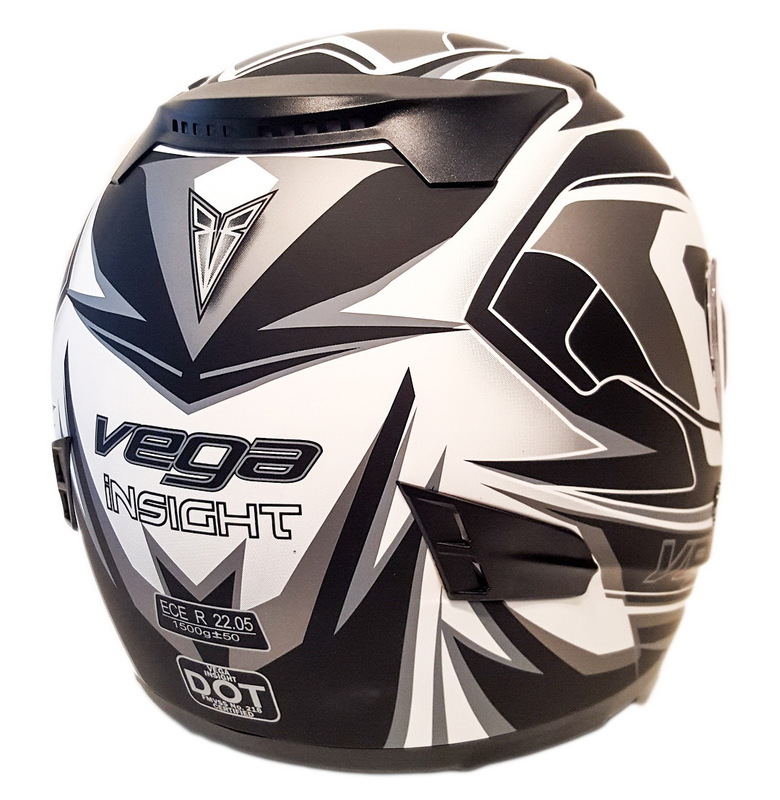 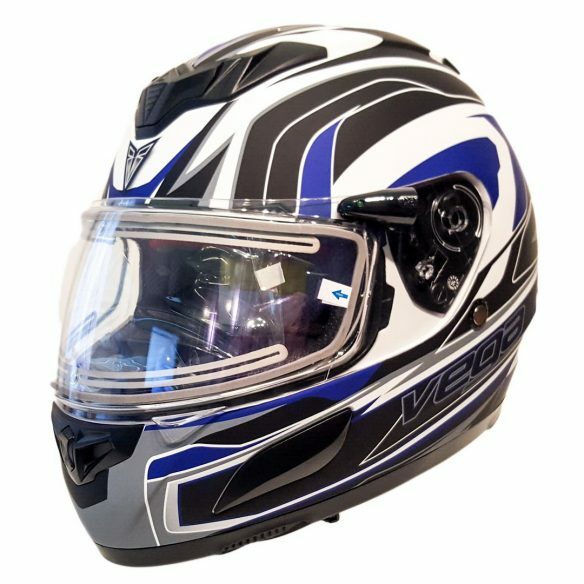 Vega Insight All Season full face helmet is perfect for reflective environments due to the smoke replaceable inner sun visor. 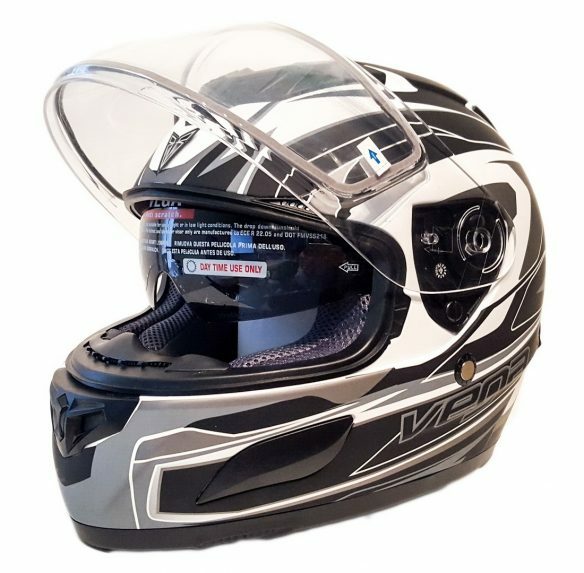 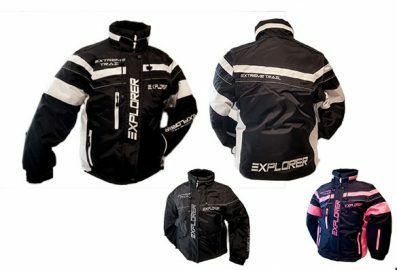 With the included dual lens and clear street shields this can be worn year round in all kinds of weather. 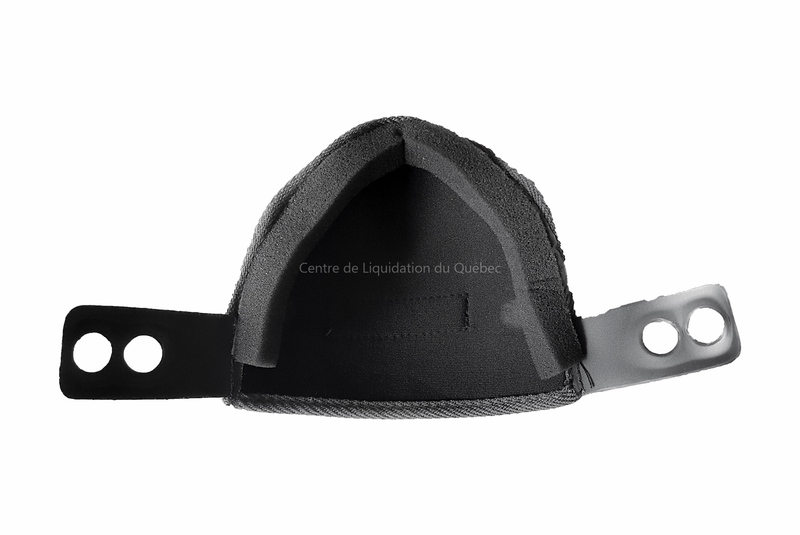 The Wick-dri comfort fit liner is fully removable, washable and is designed to keep you riding in comfort longer. 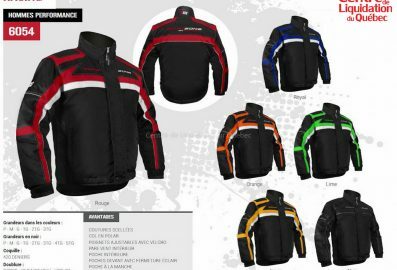 Liners are interchangeable for a custom fit within the two shell sizes for a superior fit. All Season Helmets come standard with a dual lens snow shield, clear street shield and breath deflector as well as the smoke drop down sun visor. 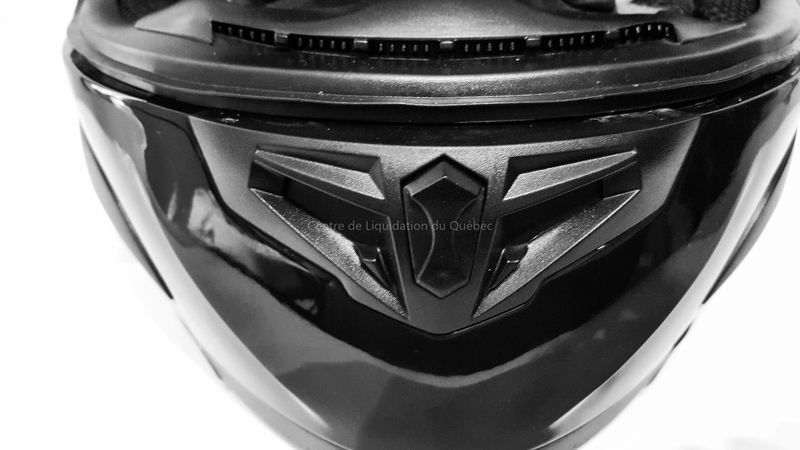 The chin, forehead, cheek and rear vents maximize airflow to extend your ride. The Insight All Season is a US DOT FMVSS 218 and European ECE 22.05 certified helmet and is available in solid color: Gloss Black. 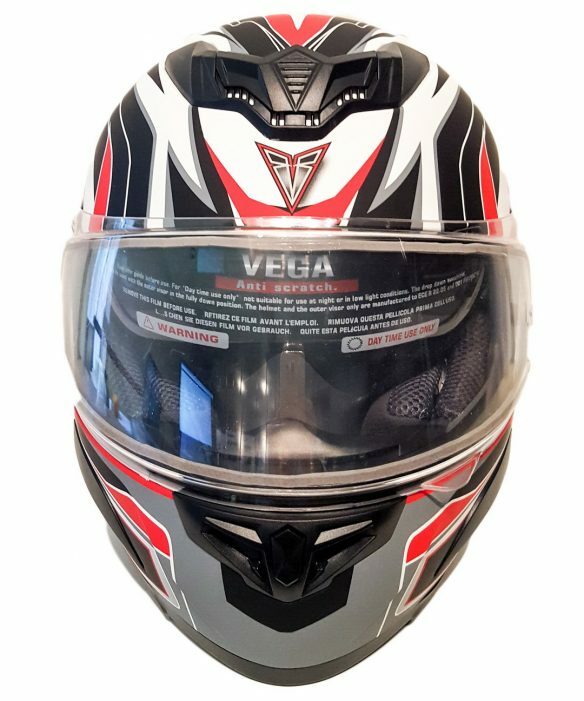 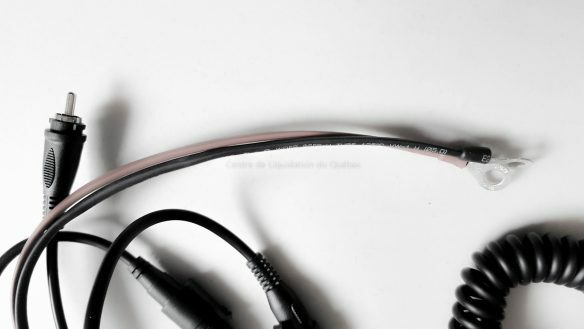 All Vega products are backed by our one year manufacturer defect warranty, the warranty excludes wear and tear, any end-user modification, improper use or abuse, and/or crash damage.